Would you want YOUR three year-old climbing into one of these death traps? A concerned parent who has been lobbying the Pre-School Centre in Fredericton to replace its 15 passenger vans with safer, Multi Function Activity Buses has established a website to raise awareness of the dangerous use of 15 passenger vans. Check out the website http://preschoolcentrefredericton.jigsy.com/Policies and see for yourself. The PreSchool Centre likes to highlight the fact that it actively pursues outings and excursions for the children on a regular basis. These excursions may be local destinations with children traveling on city buses, or they may require the services of the PreSchool Centre's private van, a Ford E-350 15-passenger van. Finally, there are other, larger and longer distance trips that require the use of charter buses, for example, 300 km round trips to the Moncton Zoo. While outings like this sound nice, as parents our primary concern is quality childcare that is healthy, safe, educational, and fun. If all of these criteria are not being met, then parents have a right to be concerned. 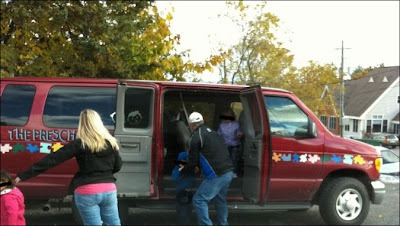 In the case of the PreSchool Centre's private van, it is the same make and model that has been banned for the transport of school children in numerous provinces and states (including New Brunswick!). Unfortunately, legislators can be very shortsighted and the law only included a ban for the transportation of children within the public school system. The law does not extend to daycare centres or other privately run programs (e.g., sports clubs). In brief, the vans were banned as a result of thousands of incidents, many causing death, due to shortcomings in the design of these vehicles. The vehicles were originally designed as cargo vans, but manufacturers saw an opportunity for passenger transport and subsequently converted the vans by simply bolting in additional seating. What manufacturers didn't do was re-engineer the vans for the different loads and safety parameters required for transporting people. Consequently, the vans lack the structural integrity required for proper protection and also suffer from instability from the additional load that can cause rollovers due to improper load distribution. Furthermore, the side windows do not contain shatter proof glass as in wind screens, and upon impact (even at low speeds as in a city environment) the windows may shatter completely, enhancing the likelihood of an occupant being ejected from the vehicle..... click here to read more. 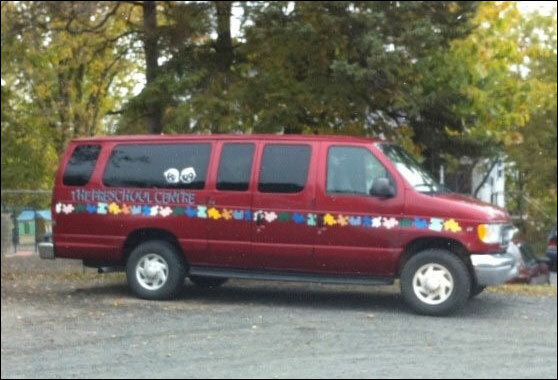 The Fredericton Pre-School Centre's 15 passenger, Ford Econoline 350 van. This is the same kind of van that the Boys in Red were riding in when they were killed in January, 2008.